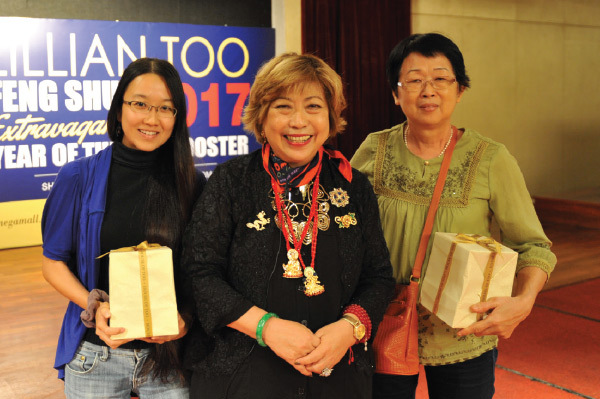 For 2017, Lillian Too’s Feng Shui Extravaganza Kuala Lumpur was held in December before Christmas, as Chinese New Year this year comes early – 28th January. Holding the Extravaganza Updates in December allows everyone plenty of time to get prepared… and being prepared for anything is the secret of success in everything you do! The other exciting thing about Chinese New Year coming early this year is that there will be a Lap Chun, something the past couple of years have been missing. Feb 4th, the Day of Spring, falls well within the coming Fire Rooster Year, which, says Lillian, means “it is the start of something good coming!” The Lap Chun brings fresh starts and exciting new opportunities, with a big spurt of growth energy. While the past few years have featured unbalanced charts, this year’s Paht Chee whose distinct feature is the presence of all five elements, bodes very well indeed for the new year. The Victory Star in the center of 2017’s Feng Shui chart also accentuates the energy of change, because more than bringing the energy of Victory, it also marks a big change from the black year we have all just experienced. This year luck is dominated by the white star of victory #1. 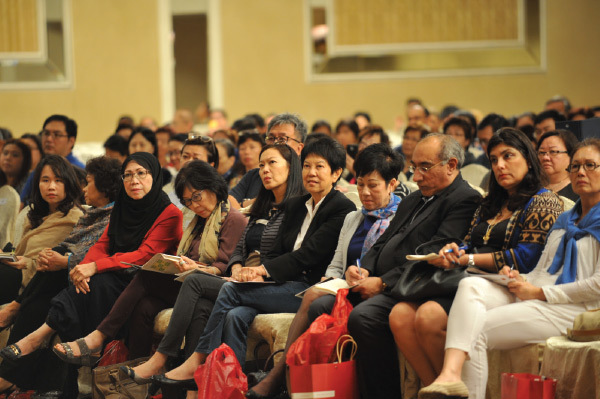 The energy that made up this year’s KL event certainly reflected these optimistic feelings. The crowd was very upbeat and consisted new faces and old, some attending for the first time, while others having been ardent followers for well over 15 years. 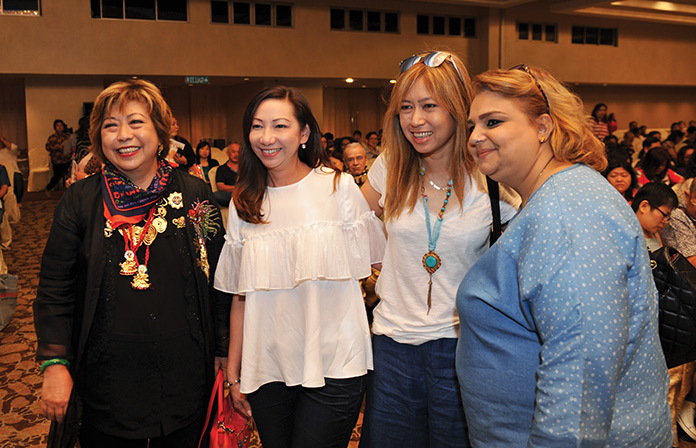 Lillian was quite overwhelmed by the support from both the people from her own hometown here in KL, as well as students and followers from all over the world, with a particularly large number this year coming from Russia and the Philippines. 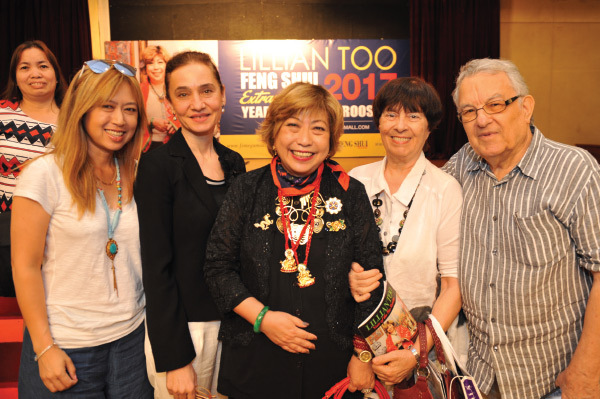 Lillian opened the event by explaining the real reason why she was still presenting these Feng Shui Extravaganzas, as well as writing new books every year for so many years. And there is nothing more meaningful than being able to share her knowledge on this living skill, which has personally helped her and her family, first in her career and later on in business, and most of all, in her relationships and the health and harmony of her family and loved ones. Jennifer with our Ukrainian WOFS business partner Anzhelika Sorokina. 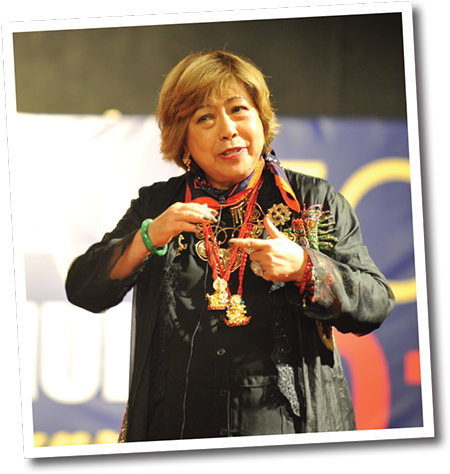 Says Lillian, “Feng shui is not about superstition. It is about harnessing energy correctly.” And her major tip this year was the magic ingredient – be spiritual in your approach, not holier than every else but being kind and compassionate to others and to yourself. “When your motivation is correct, then incorporating spirituality in your feng shui, that is when you find your feng shui really working for you. 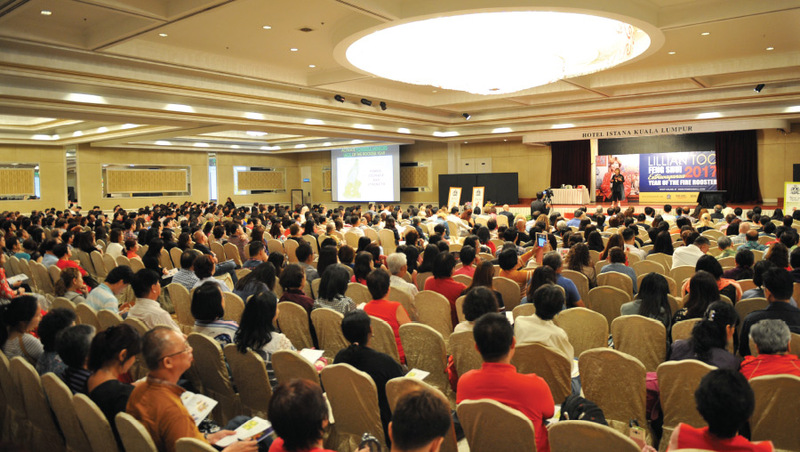 That is when the results can be so phenomenal it is almost like performing magic.” Spiritual feng shui, she says, is what makes symbolic feng shui so effective. When the symbolic cures and enhancers you invite into your home are of good quality, when they are well made and imbued with good energy, that is when the changes they bring to your space and into your life can be astounding indeed. But she was also quick to clarify that “There are no results without hard work.” Next year will be a very competitive year, and it will be those with the determination and the resolve to work for their success that will ultimately prevail. It is the ability to keep on putting in the work when others have quit that can capture some quite exceptional triumphs in 2017. So endurance and determination should be key traits for those wanting success. These animal signs are naturally competitive, and those born under these signs will find their personalities jiving with the energies of 2017 very well indeed. The Dragon especially carries a special importance, and everyone would do well to borrow the energy of the Dragon. Display a Dragon in your living space. Says Lillian, “The Dragon is always an auspicious symbol in feng shui. 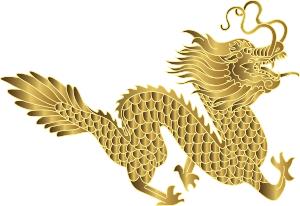 But in this coming year it is the MOST auspicious and the most important.” The Dragon is the ultimate Yang to the Phoenix’s Yin. And with the Dragon, this year’s Fire Rooster transforms into the celestial Phoenix. Lillian also shared another of her long-held beliefs. “Here’s the secret,” she said. “It is perfectly fine to want everything. The idea is to keep the balance.” While there are always choices and trade-offs to make, it is perfectly possible to want a little bit of everything. It is sorting out your priorities, then activating for exactly what you want. The best thing about Lillian’s Extravaganzas is that she is an absolute master at explaining exactly what to do. She teaches in the best possible way because she makes her audience understand what it is they are doing, rather than just giving cryptic and vague instructions. Everyone attending the Extravaganza left that day feeling confident and strong. This is what Lillian always strives to do – impart some of her own strength into the spirituality of the room and the space, that is what she did that Sunday! This is why it is really worthwhile attending the Extravaganza, or the next best thing, buy a streaming video of her Extravaganza! Lillian and Jennifer with long-time fans of feng shui. 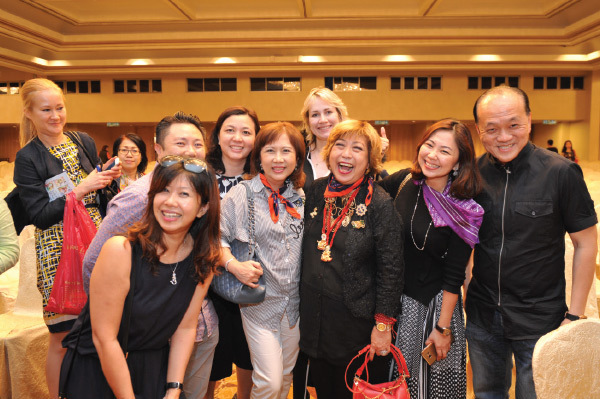 Lillian with friends and fans from Penang and other parts of the world! Lillian and Jennifer with classical pianist Professor Danica Stojanova, Professor Snezhana Panovska and her husband Milan Panovska. Lillian’s friends came to listen to what’s in store for the year. Lucky prize winners who took home some auspicious gifts.